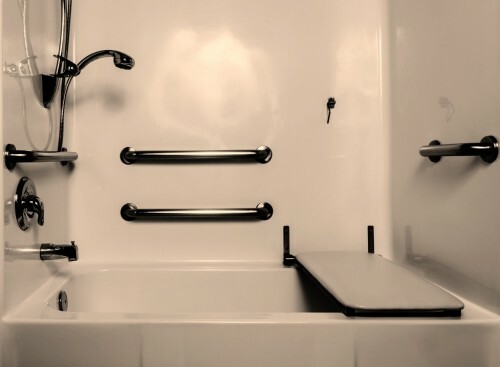 Don't forget these items when remodeling your bathroom. Bathroom renovation is one of the most thrilling ways to transform your home. Though it’s only a small space in the house, the bathroom is very important both in functionality and design. When remodeling your bathroom, your house can change from a drab nightmare to a fashionable utopia. However, before you send your wildest designs to your contractor, consider the following elements of a well-styled bathroom that are often forgotten. If you bought an older house or one that was last remodeled decades ago, you might find yourself bending over to use countertops and appliances around the house. For much of the 20th century, the preferred counter height was 30” tall because it allowed for an easy reach by children without forcing adults to sacrifice too much. However, this height has recently gone out of style, as adults have reclaimed the comfortable use of their counter spaces. Now, the preferred height for counter tops around the house, including the bathroom, is 36 inches, which is accommodating for most. Most cabinet and counter makers for bathrooms are now only producing the 36” tall variety. If you dislike this standard height, you can still find shorter models, or else select a custom counter height by floating a vanity in your bathroom. So much attention is paid to the type of shower or tub, the sink style, and the brand of toilet that often remodelers forget about storage necessities in the bathroom. However, bathrooms require more discreet storage solutions than you might realize. Most homeowners don’t want to clutter their new countertops so accessories need to be tucked away. Storage is incredibly important for a functional bathroom, so investigate different storage solutions before finalizing your remodeling plans. Because of the inherent need for privacy, a bathroom usually lacks the luxury of big, open windows to let in light. Thus, remodelers must closely consider what kind of lighting they will need for their space. Generally, bathrooms require three different kinds of light to allow for the various tasks accomplished therein: task, accent, and decorative. Task lighting is definitely the most important type of light in a bathroom. Placed around the mirror, effective task lights will illuminate your face and body providing perfect views for applying makeup, shaving, and any other delicate bathroom activities. Experts advise against placing lights above the mirror, as they will cast unattractive and unnatural shadows on the face. Accent lighting brings light to dark areas of your bathroom that are untouched by useful task lighting. Remodelers who plan to decorate with pieces of art should use accent lighting, like recessed lights or directed wall lights, to bring attention to their favorite pieces while providing light in an otherwise dark space. Decorative lighting will not necessarily provide any practical benefit, but it greatly increases the visual appeal of a space. A chandelier above a tub or candles twinkling in wall sconces will add life and sparkle to the remodeled room. It is easy to find the appropriate lighting fixtures for the bathroom from dedicated lighting professionals. You might be tempted to leave out the little things until the remodel is over, but that would be a mistake. Your preferred style of towels, curtains, knobs, dishes, and other seemingly micro details will eventually need to mesh perfectly with the macro features like the tile, tub, and sink. Think carefully about what you want the linens and accent décor to look like; you should have a clear picture of your finished bathroom in your mind before you approve any designs, big or small. Only then will you rest easy knowing your remodeled bathroom is exactly the room you want.